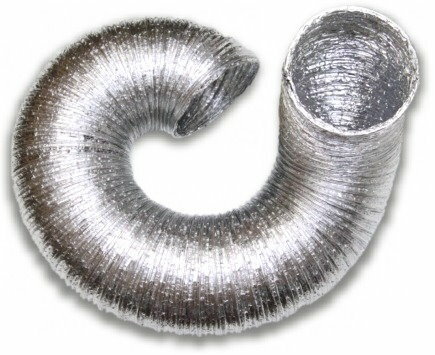 Choose Vent Hose Length: 4 Feet8 Feet (+$10.00) This item is currently out of stock... Please contact us about backorders! DryerFlex™ combines the ease of use and flexibility of foil flex with the fire resistance, strength and airflow efficiency of semi-rigid aluminum flex. 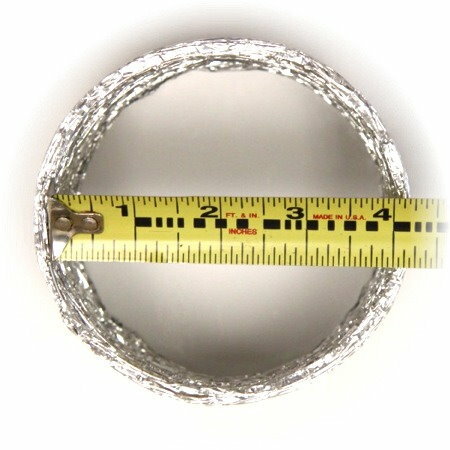 Multiple layers of pure aluminum ribbon attached over hot-galvanized zinc-coated wire give DryerFlex its unique strength and flexibility while maintaining fire resistance. The ribbon is tightly wound making the interior smoother which reduces airflow resistance. DryerFlex always maintains it's four inch inner diameter whether fully extended or compressed. 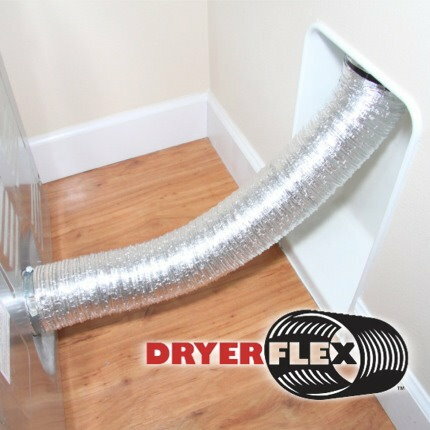 Today, you can have a simpler time connecting the dryer and rest easy knowing your laundry room is safe and efficient.